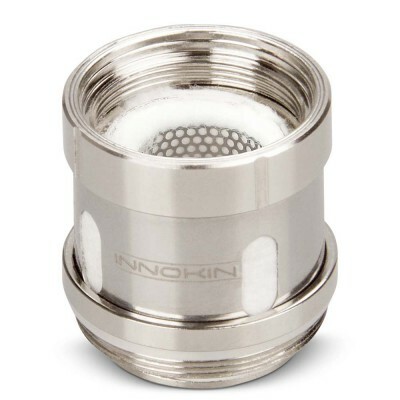 The Innokin Proton Kit is a high wattage kit with innovative, first-of-its kind joystick wattage controls. This kit comes with the Scion II tank and plexus coils for greater stability and durability. 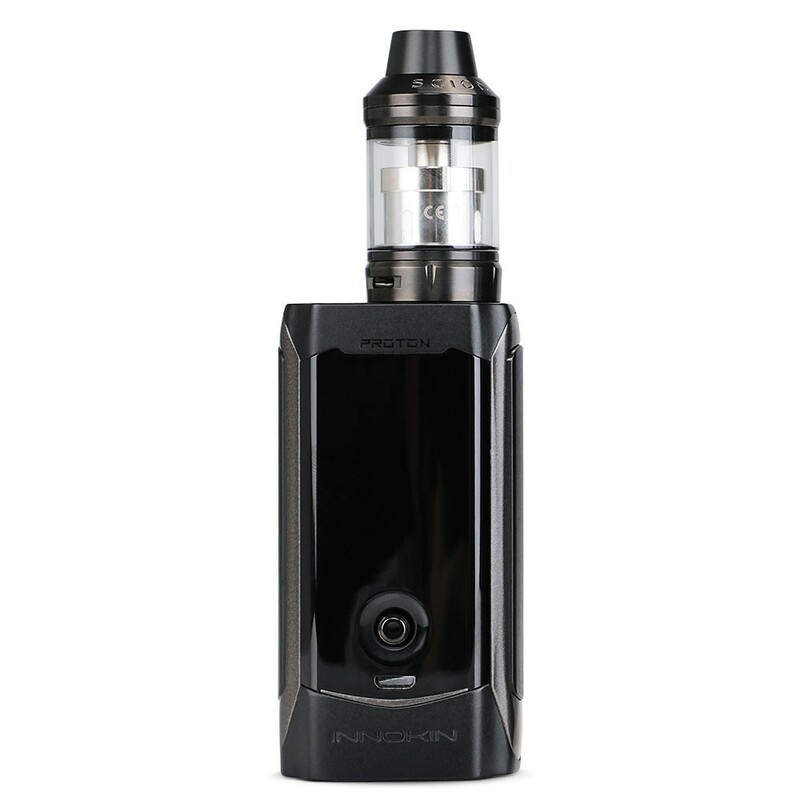 The Innokin Proton Kit is a high wattage vape kit capable of firing up to 235 watts. It’s also the first vape device we’ve seen which comes with joystick controls, which you can push left or right to control wattage levels. To handle the higher wattages the Proton is capable of producing, the kit comes with plexus coils designed to handle high power levels. 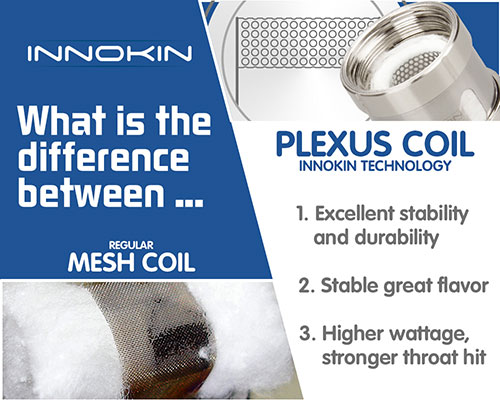 The mesh design means the coil is more durable, continues to provide a stable flavour and lasts longer than regular coils at high temperatures. 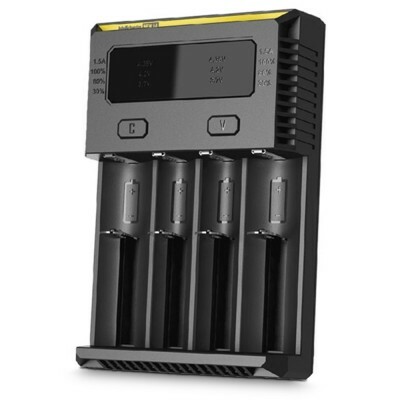 You can choose to use the Proton in wattage or in temperature control mode. The Proton is also highly customisable. The large 1.45” control screen comes with a choice of 6 vibrant colours while onboard memory bank functions allow further customisation of your vaping experience. 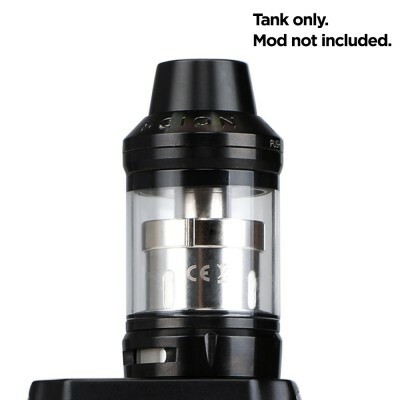 The Proton comes with the Innokin Scion II tank included. The combination of low resistance coils (down to 0.05ohms) designed for high wattage and vaping and massive power means this is definitely a kit for cloud vapers! It’s also ideal for anyone who prefers joystick controls to buttons. Not suitable for beginners. 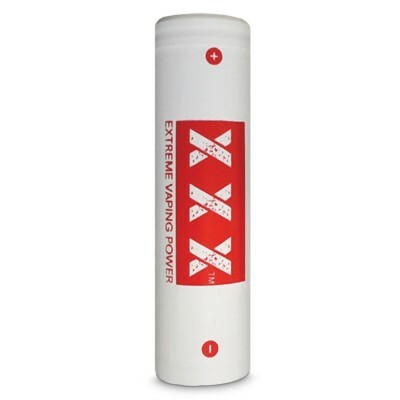 You’ll need x2 18650 batteries - we suggest the xtreme batteries available here. Once you’re using the device, it is important to keep your tank topped up. 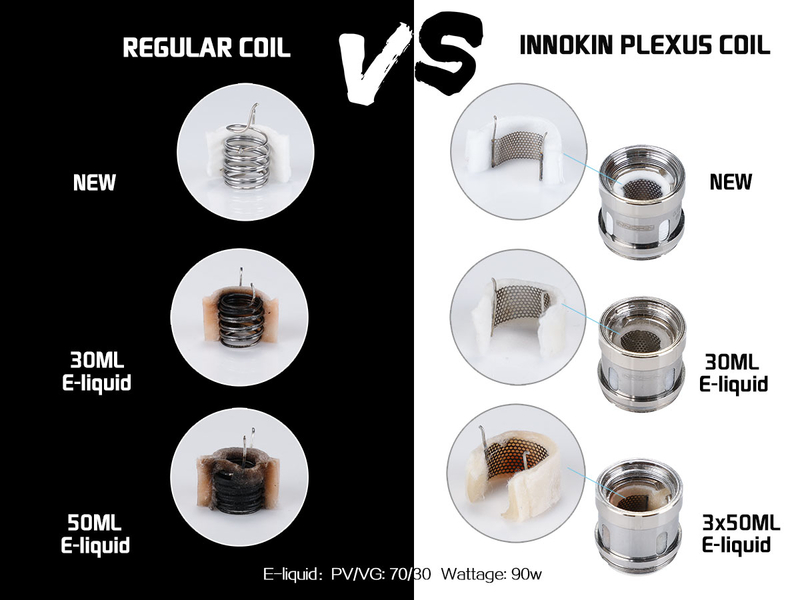 If the e-liquid gets too low and the coil is exposed, the coil can burn out.” .